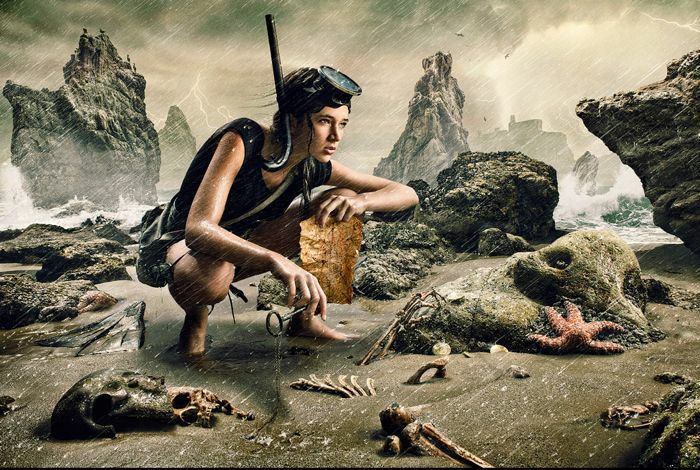 Dave Hill is one of the leading lights in HDR composite photography, layering multiple images together to recreate whatever he can imagine, to stunning and impresive effect. The ‘Dave Hill Effect’ is well-known in photography circles, a certain kind of washed-out, high contrast, stark imagery. Check out a few shots here, and go to his site to see the bulk of it. He’s got behind the scenes footage on his site showing the photo-shoots, which makes me think twice about trying to re-create what he does on my own. He has a crew of people, a lot of lighting gear, and of course a great camera. Inspiring stuff.